For your local ceiling directory search Nbtrade.com.au listings. Ballina Ceilings, Casino Ceilings, Lismore Ceilings, Murwillumbah Ceilings, Tweed Heads West Ceilings, Byron Bay Ceilings and more listings Nationwide. Mineral fiber, fiberglass, metal, specialty ceilings, grid, suspended ceiling systems what ever your needs, what ever you are looking for. When it comes to ceilings Nbtrade.com.au has the best local listings to accommodate your needs so look no further then Nbtrade.com.au listings! With trusted and reliable listings you are provided with all contact details, general information and more. Specialising Northern Rivers and Gold Coast for the best local Ceilings directory. 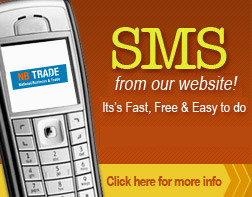 Email or SMS Straight from our Ceilings directory. Don't be bombarded with misleading advertising, confusing claims and simply bad information. Nbtrade.com.au provides all the information you need. From contact details to specialties. Helping you source ceilings with any budget and of the highest quality of care most popular in out local area.